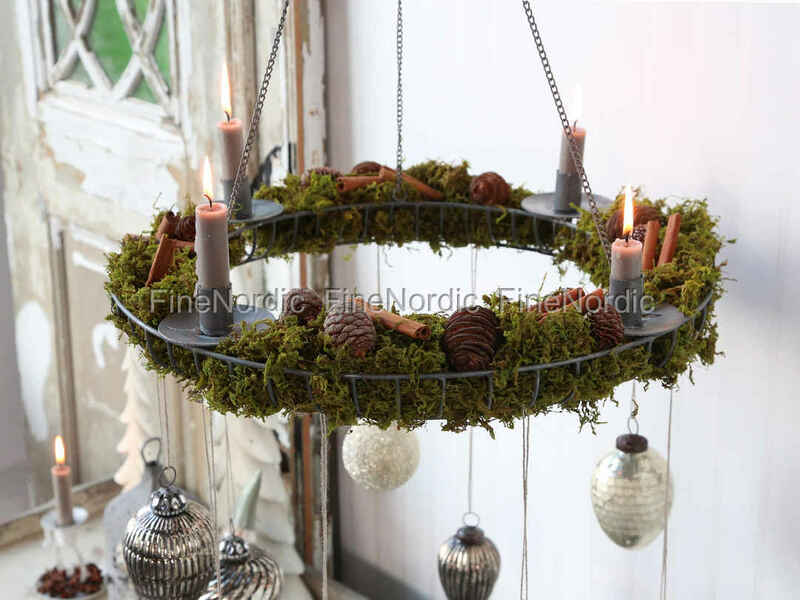 Do you like to hang your advent wreath from the ceiling? Then this Chic Antique Fil de Fer Wreath for four Candles might be the right one for you. Candles with a diameter of 2 cm will fit into the four candle holders. Fill the antique zinc wreath with fir sprigs or moss and decorate it with your favorite Christmas ornaments and decorations. Just add the candles to the wreath and hang it up by its chain. Voilà, now you are ready for the Advent season.